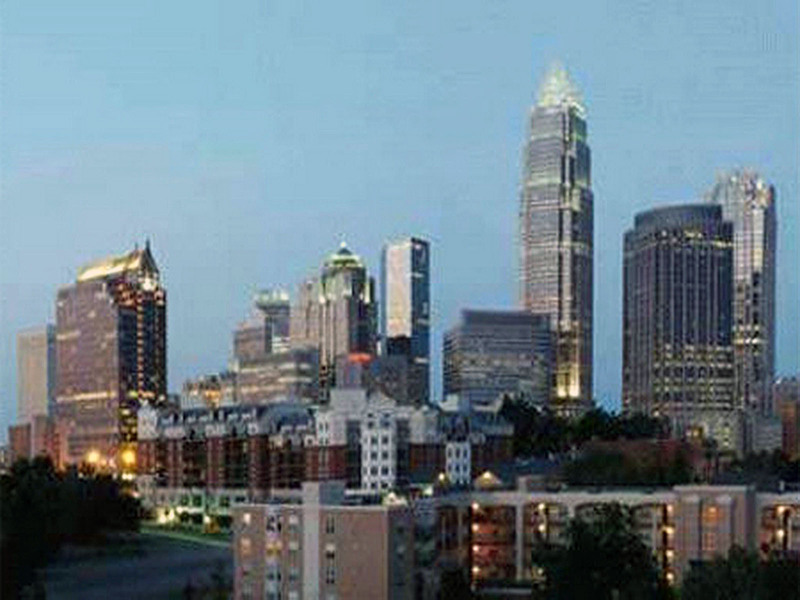 Charlotte is the biggest city in North Carolina, and it has a population of around 800,000, making it the 16th biggest city in the U.S., based on its population alone. 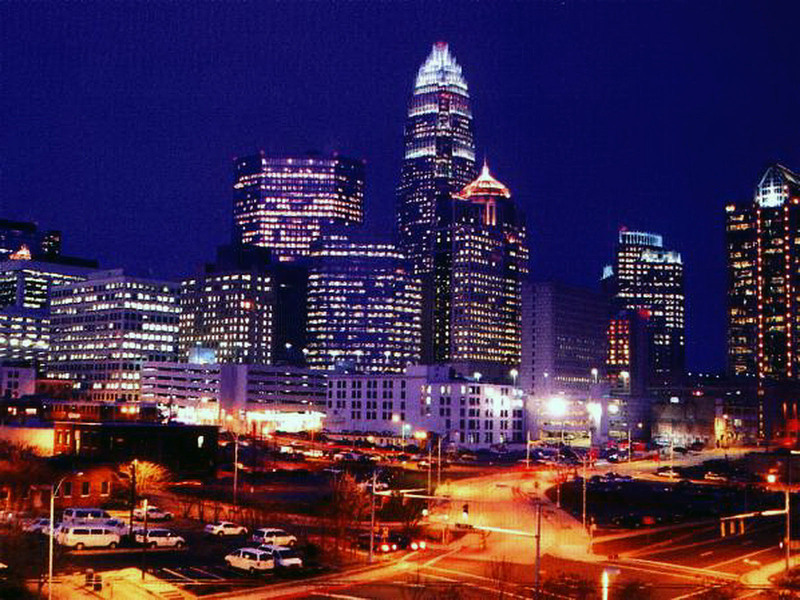 The city of Charlotte has a metropolitan area that ranks 23rd in the U.S, and the area has a population of almost 2.3 million. The Charlotte metropolitan area is an area of a region of 16 counties that make up a CSA with a population of roughly 2.5 million people. 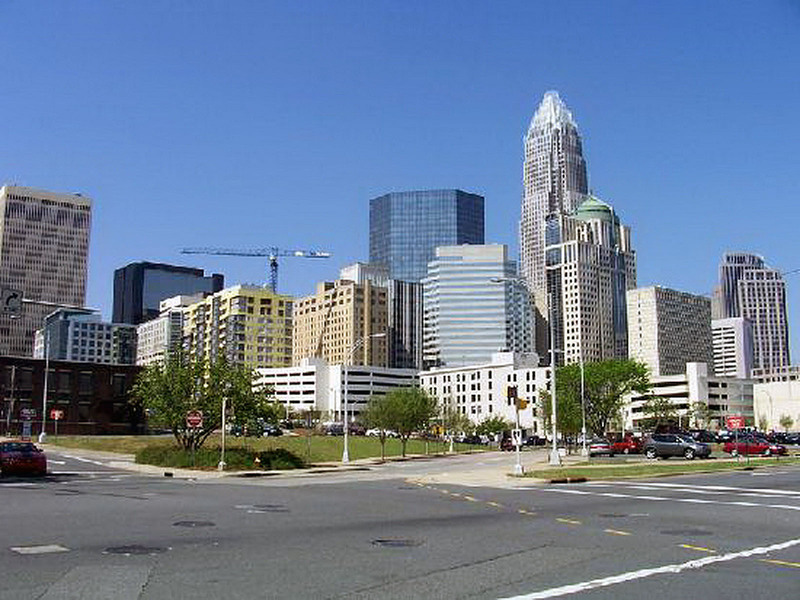 Residents of the city are called “Charlotteans”. 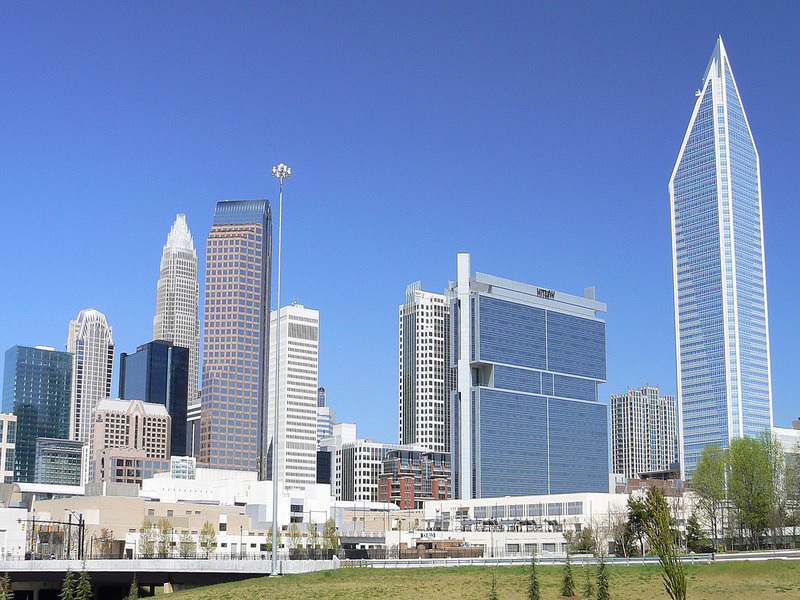 Charlotte is a huge financial center. Wells Fargo and Bank of America are based here. 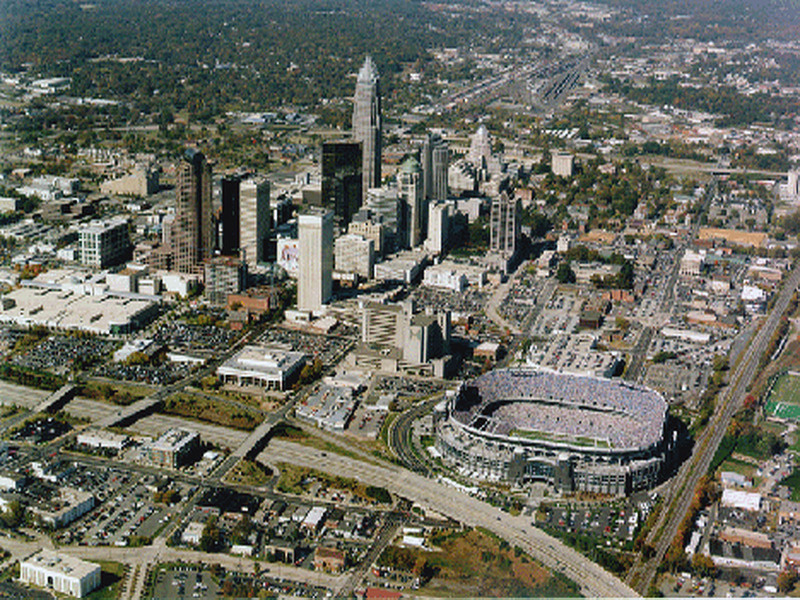 Charlotte is also the site of the Panthers of the NFL, the Charlotte Hornets of the NBA, the Charlotte Hounds of the MLL, the Hall of Fame for NASCAR, and the National Whitewater Center of the U.S, as well as the Carowinds amusement park. 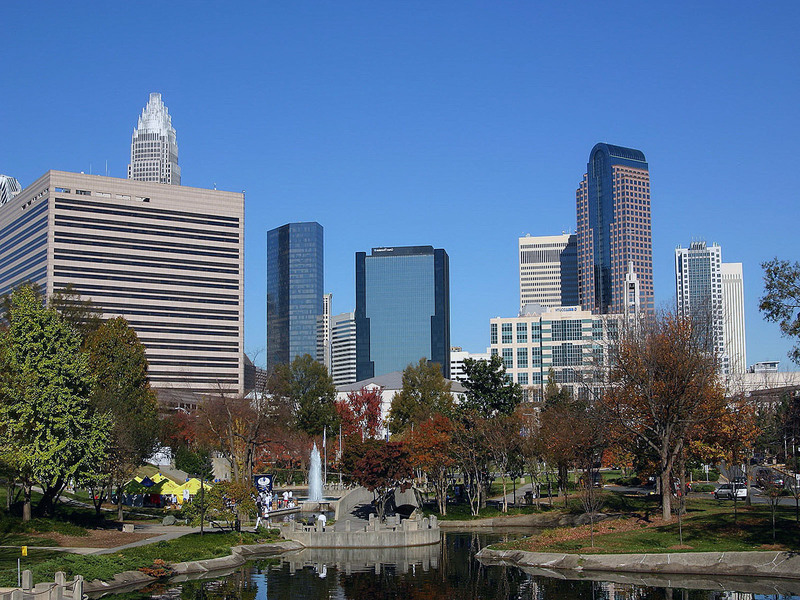 Charlotte has been given the nickname of the Queen City, and it got the name because of Charlotte of Mecklenberg-Strelitz, a woman that had become queen consort of Great Britain the year before the city was founded. Another nickname came from the American Revolution War, when General Cornwallis, a British commander, occupied the city but was forced out by angry residents, causing him to write that Charlotte was like “a hornet’s nest of rebellion”, which led to the nickname The Hornet’s Nest. Lots of travelers come through Charlotte, but not enough of them stick around. For some people, it’s just a really busy airport site, visited while getting great deals from US airways to get great deals to travel to other places. 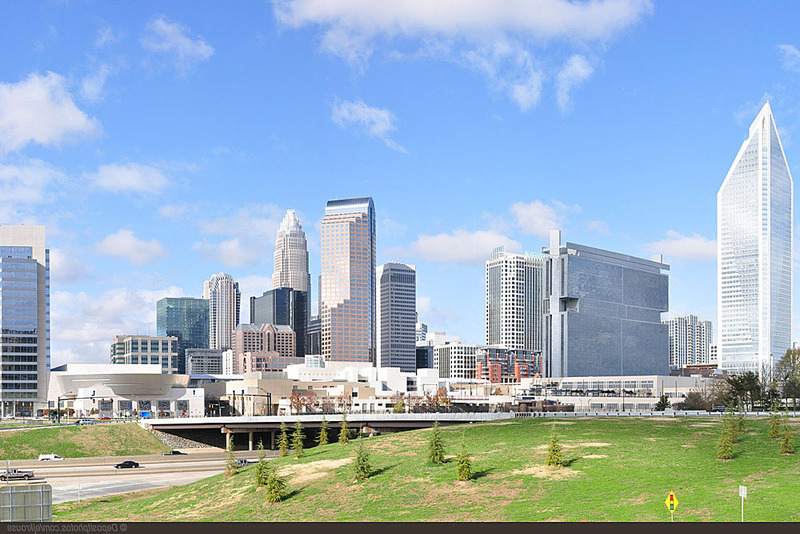 A lot of people just think of Charlotte as a critical financial capital. It’s maybe not as popular of a tourist destination as Asheville or Charleston, or any other major tourist destination in close range. 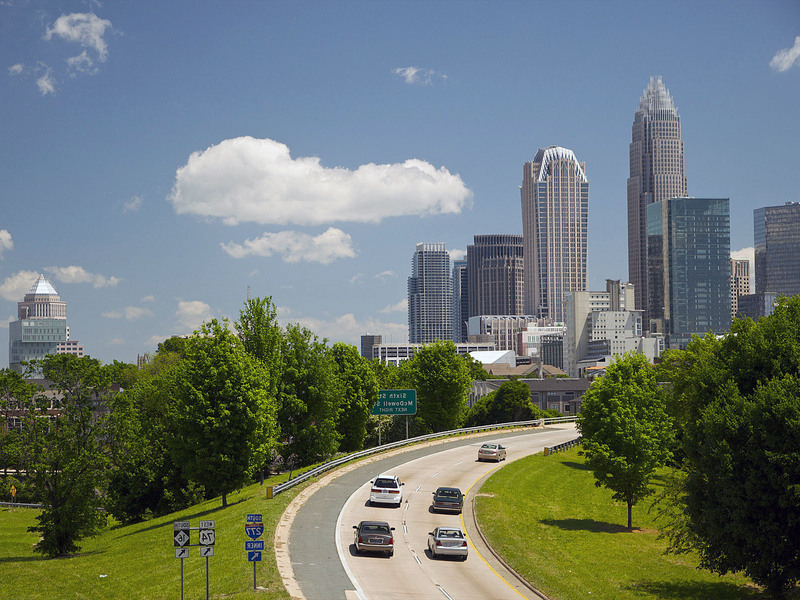 Why should you take the time to come to Charlotte, the Queen City? Here are some good reasons to visit Charlotte. Charlotte is More Than a Banking Center: Charlotte is a major banking capital, but it does have a creative side, too. One of the oldest cultural institutions in the city is the Mint Museum. It has a highly trafficked craft and design museum, as well as an excellent art collection. You can see the original building that used to be the United States Mint. The primary campus of the Mint in the Levine Center For The Arts, a famed cultural district that has the Bechtler Museum of Modern Art and a number of other notable stops. You can check out some great art on the street in the NoDa neighborhood. There is an art crawl twice a month here, on the first and third Friday of the month, beginning at 6 PM. You can tour some of the finest galleries in the city. Charlotte is a Food Lover’s Paradise: For a lot of people, they fall in love with Charlotte when they get a taste (literally) of what Charlotte has to offer. Where do you start your trip through Charlotte’s restaurants, cafes, and eateries? Head on over to Price’s Chicken Coop to start your tour and have some of the best fried chicken in the south. Get some great soul food from Mert’s or head on over to Mac’s Speed Shop to have some Brunswick Stew. If you want to sample the finest pimento cheese in the South, check out Midwood Smokehouse. Whether you want pulled pork or fried pickles – or any Southern staple – Charlotte has some of the best versions of classic Southern dishes and desserts. Big NASCAR Fan? : Charlotte is the site of the Charlotte Motor Speedway and Hall of Fame for NASCAR. If you’ve got enough boldness and courage, you can pay for the Richard Petty Driving Experience, which offers you a selection of experiences, from a ride-along ($99 for three laps) or a full ride ($449 for 8 laps). You can go to Dale Earnhardt Jr.’s Whisky River afterward, a popular restaurant and bar back in town for some snacks, drinks, or food from their menu. Their menu is very friendly to NASCAR fans. Lots of Fun Outdoor Activities: From Crowders Mountain to the scenic Freedom Park, Charlotte is one of those cities that we’ve forgotten existed: one that has plenty of nature to experience. When you drive its streets lined with trees, it can feel like you’re not even in a city. If you want to take a real walk into the woods, then check out the 737 acres of prime forest at the Reedy Creak Nature Preserve. It offers a lot of solitude and more than ten miles of hiking trails. Fun Neighborhoods: There are cool art galleries, fun cafes, farmers markets, and food trucks in the historic South End part of town. It’s a popular place for the hip and young to have a good time. You’re invited to participate in the fun. 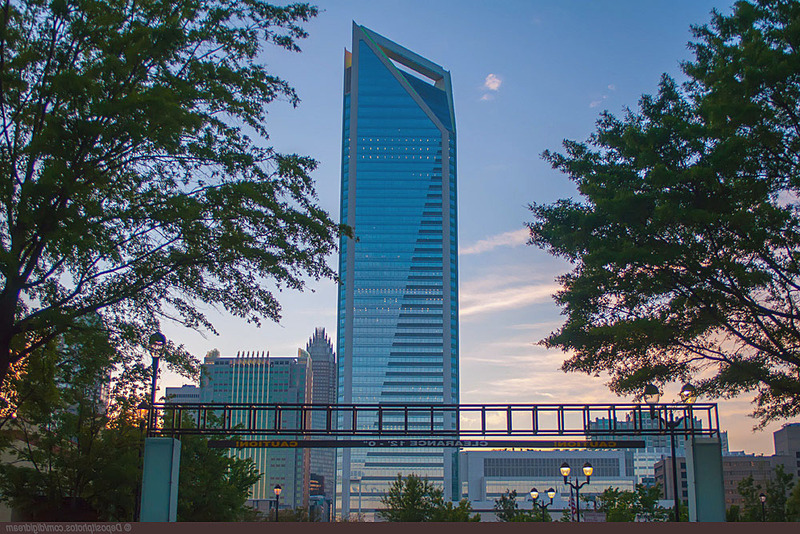 Just head on over to the South End neighborhood when you’re in Charlotte to get a feel for what the locals do on a regular basis. This is where the youngest, hippest, and most laid back crowd hangs out – so try to meet some cool new friends. You can check out the monthly art gallery crawl if you’re in the neighborhood on the first Friday of the month. If you can make it on Saturday morning, you’ll be able to check out the market at the Atherton Mill complex. Do You Like Whitewater Rafting? : If you visit the U.S. Whitewater Center in Charlotte, you can get all the chills and thrills of whitewater rafting without the danger of serious bodily injury or death from being dashed against the jagged rocks – or anything else that can go wrong when you hit the rapids. This is an official training site for the Olympics, and the trainers here don’t mess around at all. They’ll whip you right into shape, and you’ll be an expert whitewater rafter after your training sessions are over. You can do a lot more than whitewater rafting training at the center, though. You can also get instruction in paddle boarding. You’ll be ready for your next trip to Hawaii. The center has several miles of biking and hiking trails, as well. Why Not Stay in a Luxury Hotel? : The Ritz-Carlton Charlotte in the heart of Uptown has a great spa that offers a wide selection of services like detox massage ,manicures, pedicures, and deep tissue massage. If you drive 20 minutes west of town, you will be in the proximity of The Ballantyne. The Ballantyne is a resort-like oasis featuring a wonderful spa facility that’s perfect for people on a budget. The Little Bit of Bliss is a 25-minute massage that costs just $65. If you’ve been outdoors all day doing activities, reward yourself with a little massage. It’s a great way to relax in Charlotte after a long day of sightseeing. Enjoy the Botanical Garden: The University of North Carolina at Charlotte maintains a ten-acre botanical garden. You can browse the McMillan Greenhouse complex or the gorgeous outdoor gardens, and you can see both the exotic and local landscapes. You could spend an entire morning here. Why not have one of the delicious breakfasts that Charlotte is known for before spending a day at the botanical garden complex? If you want to see a garden that’s a little more private, check out Wing Haven, a tiny walled paradise built by an environmentalist with her husband in the 1920s. Sample Moonshine and the Bar Scene: Charlotte might not have a world-famous reputation for its nightlife, but its residents sure know how to party. Check out TEN Park Lanes in the South End neighborhood. There are beer taps, great food, and a number of different artisanal moonshines you can sample. If you’re tired of drinking beer there, then go to VBGB. It’s a fun, new beer garden. Snug Harbor is another bar you don’t want to miss. It’s a fun dive harbor with hip crowds and stiff drinks. See the Blue Ridge Mountains: You are not going to want to miss seeing the Blue Ridge Mountains. Take a day trip out to the Blue Ridge Mountains and ascend to the summit of Mt. Mitchell – the highest peak on the East Coast. Spend a quiet afternoon on the historic Blue Ridge Parkway and sample the food in Asheville. There is a great selection of restaurants in Asheville. You haven’t really been to Charlotte until you’ve tried the Southern home cooking and seen the Blue Ridge Mountains. There are dozens of museums and performing arts centers in Charlotte, and it’s home to several different venues for concerts, plays, symphonies, and dance recitals. It’s a wonderful place to get a real good dose of Southern culture. You might not have guessed that Charlotte was such a cultural hub – being tucked away in the Deep South – but it has several museums and performing arts centers that more than qualify it as a major cultural center of the South. Furthermore, there are special events and festivals held throughout the year that are enjoyable and entertaining. The Carolina Renaissance Festival, which operates on Saturdays and Sundays in late fall, is one of the biggest renaissance festivals in the country, and it has 11 stages of amazing outdoor entertainment, a 22-acre marketplace, a circus, a fair for arts & crafts, a feast, and a jousting tournament – all rolled into a day-long super-adventure. If you only go to one renaissance festival in your life, make it this one. Charlotte has a lot of summer festivals, and what’s just as fun as enjoying the festivals themselves, is enjoying nature and being outdoors where the festivals are taking place. Charlotte has some very idyllic and picturesque scenery, and being in the town itself is almost like being right in nature. It’s not your average city, with hardly any trees. Charlotte has a unique Southern charm, and part of what’s responsible for that is the beautiful setting. Another thing that makes it uniquely Southern – and very memorable – is the food there. You’ll have lots of delicious soul food and Southern home-cooked meals. 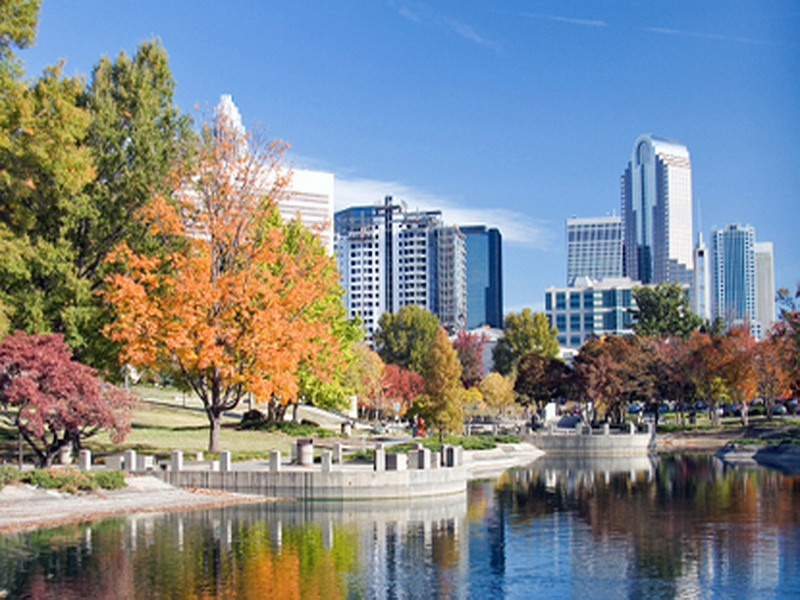 If you want a truly authentic Southern experience, then going to Charlotte is your best bet. 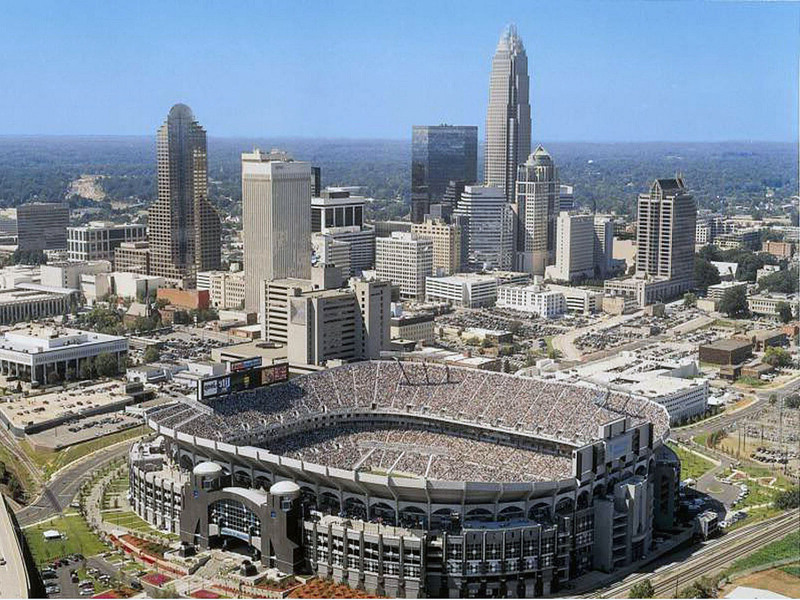 Charlotte is the home of three major sports franchises: The NFL’s Carolina Panthers, the NBA’s Charlotte Hornets, and MLL’s Charlotte Hounds. Whatever sport you like, there’s a sports team for you. If you’re not a fan of any of the aforementioned sports, you can always check out the NASCAR Hall of Fame or catch a race or two. Even if you don’t like NASCAR racing ordinarily, seeing a race up-close and visiting the NASCAR Hall of Fame can somehow make the experience a whole lot more exciting. If you’ve never seen a professional car race on a real track, you will have a great opportunity to see one in Charlotte. Even if you don’t enjoy the idea of a NASCAR race that much, your kids will certainly enjoy it. Grab some hot dogs and Cokes at the race and just sit back and have a good time.